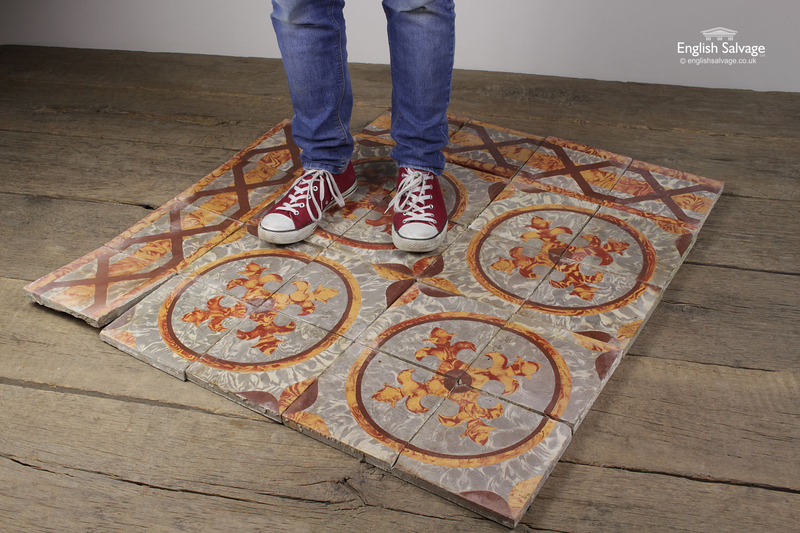 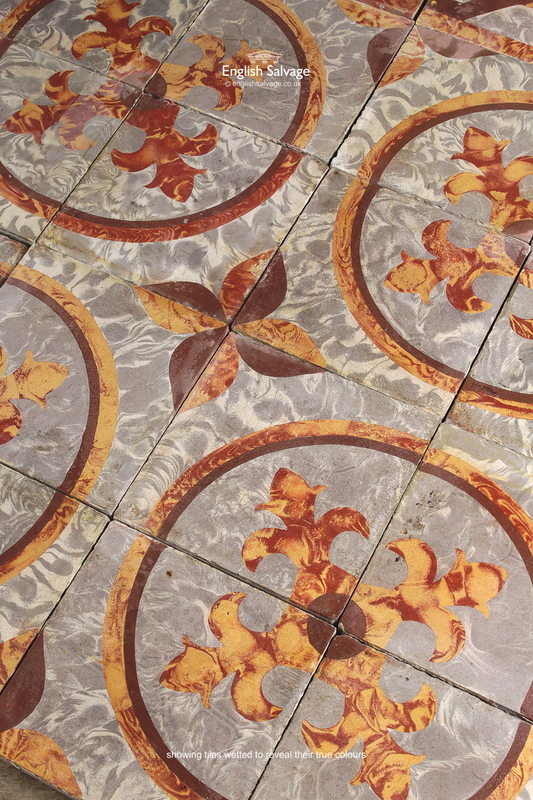 Reclaimed encaustic decorative tiles in grey, red and yellow. Repeated fleur de lys and circular patterns are formed of four tiles and the edging tiles form hexagonal weaves. 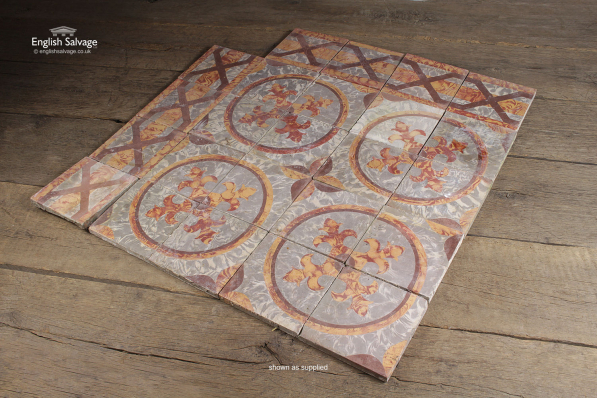 The 12 square metres available consists of 283 centre tiles, 38 border tiles and 3 corner pieces. 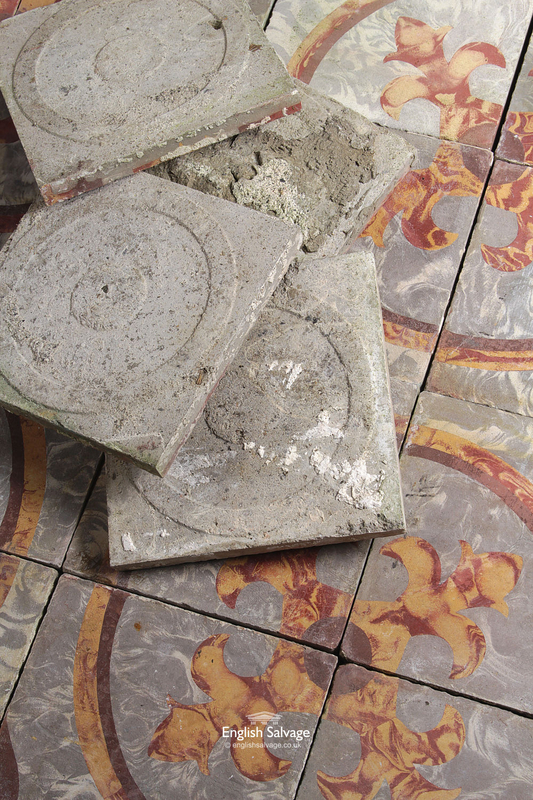 Remnants of fixing mortar, wear and tear as expected with age. 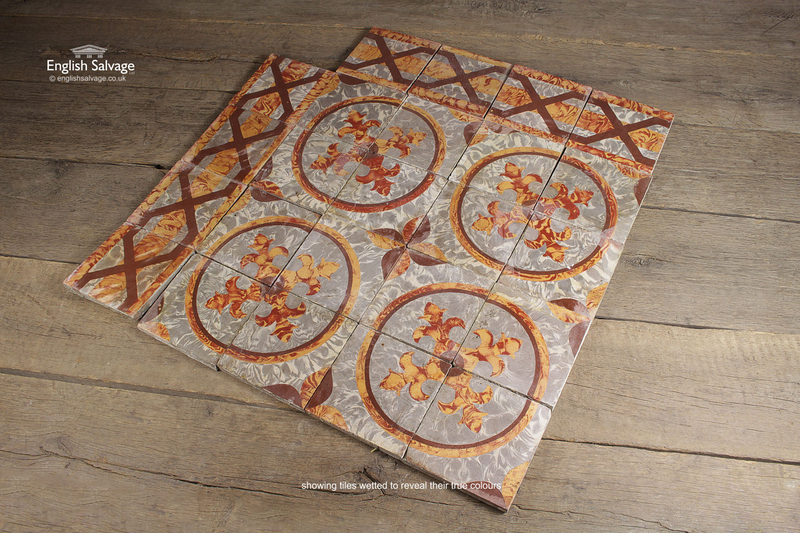 Tiles shown in photos have been cleaned, please note they are sold uncleaned.